Just a day after the designer’s off-schedule show in Kaliningrad, Russia, Super Sunglasses has released the advertising campaign for its collaboration with Gosha Rubchinskiy. Directed and edited by one of Rubchinskiy’s long-time collaborators, Julian Klincewicz (the 21-year-old skater, artist, designer, photographer and filmmaker), the film features several different solo dances. One dancer (pictured above) performs on the beach dressed in one of the designer’s SS17 tracksuits created in collaboration with Italian sportswear label Kappa. 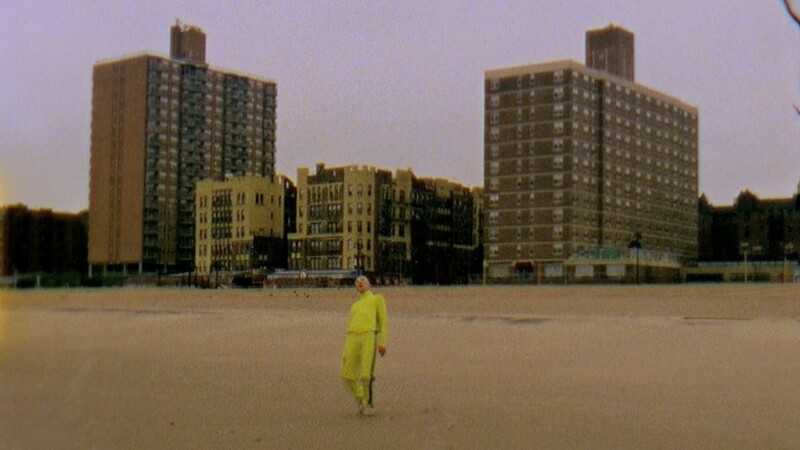 Described by Super as like “a ballet”, the film brings the worlds of dance and fashion together, shot in Klincewicz’s signature lo-fi aesthetic. As for the sunglasses themselves, they resemble oversize wrap arounds, in black and in white with yellow-tinted lenses. Rubchinskiy has teamed up with a lot brands in his time – from Reebok, Supreme and Vans, to Fila, Kappa, and Sergio Tacchini for SS17. At yesterday’s show, the designer unveiled a surprise collaboration with German sportswear giant adidas. Drawing inspiration from footballers’ on-field and off-field uniforms, the collection saw a fusion of soccer and skate style.